Why is my grass upside-down? 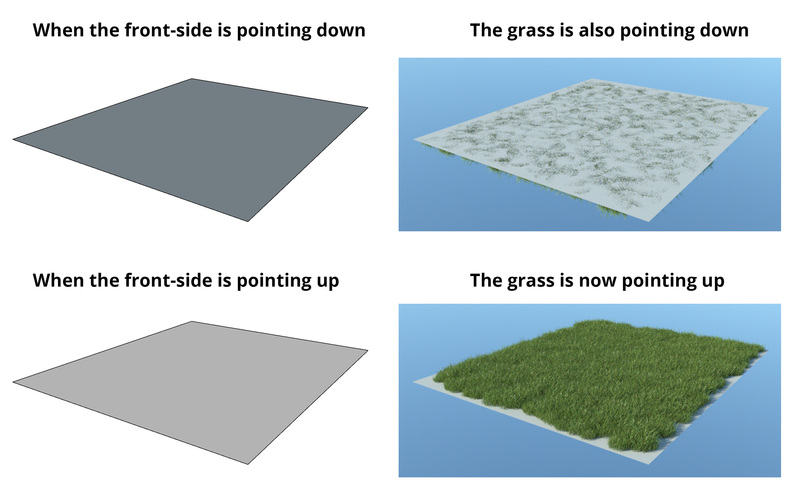 The grass presets use the Pointing Direction feature, therefore the grass follows the slope of the surface. If the surface is upside down, the grass will be upside down as well. Try to right click on the face and click on "Reverse faces". Then in Skatter's Hosts rollout, click on to update it.